Samsung has finally reach a conclusion on their foldable phone which seems to be coming faster than expected. Ever since it was announced folks have been expecting it to be out but got a little delay but will be debut soon. We've seen a lot of leaks and rumour talking about it but no one ever talk about it specs and full details. As at today we have it prototype showing it with external screen that unfolded to reveal a much larger display. 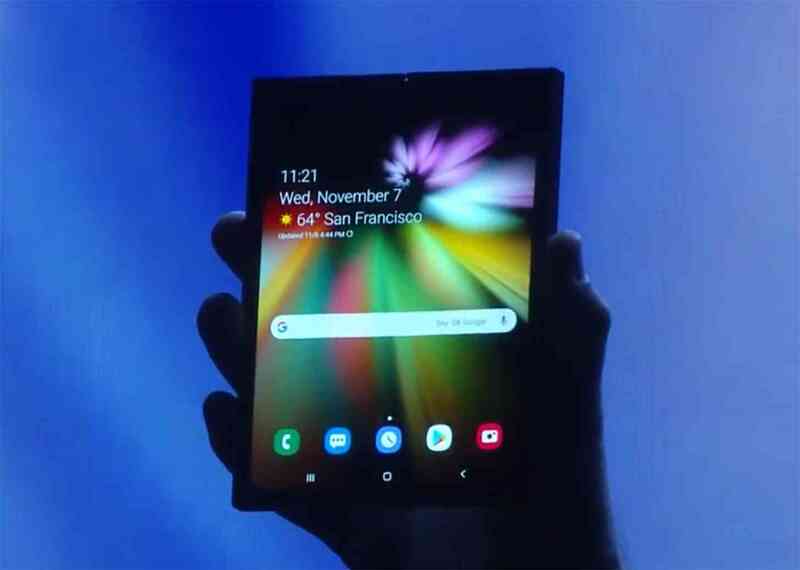 Samsung foldable phone is likely to be launch in March at the price of 2 million won ($1,756 USD) which was made known during the Samsung Developer Conference. The details was reveal to be with external 4.3-inch display with a resolution of 1960x480 and a 21:9 aspect ratio. When you unfold the device, you get a 7.3-inch 2152x1536 display with a 4.2:3 aspect ratio. According to report, Samsung is also working on a Multi-Active Window feature that'll let you run three apps at once. Additionally, Google has said that it's working closely with Samsung on a foldable smartphone, and Google is expected to add official support for foldable displays into Android Q.
Samsung foldable phone is coming soon for those with intention to buy, we have some months to go now and the price may remain as we've said above though their's isn't confirmation about that but before it final deployment we have all we need to know.